After The Eagles reunited in 1994, they hadn't recorded anything new up to this point, but they kept the touring (i.e. money) machine moving steadily, so the band was now consistently in the forefront and proved the reunion was not a "one off". Therefore, it really shouldn't surprise anyone that they would follow in the path of just about every other artist with a history and get around to releasing a box set. Especially since it was now close to Christmas time . As far as a traditional box set goes, this one fares quite well. The irony, however, is that this band didn't really have that much recorded material, so it wouldn't have been totally unthinkable to simply put out a retrospective that contained literally every thing they had recorded at this point (such as The Police did a few years ago). But they chose to not quite go that far. Still,this is a pretty good "best of and then some" package. The first three discs are categorized into "the early years", "the ballads" and "the fast lane", but there is too much overlapping to really take these labels too seriously (i.e. Desperado is listed as a "ballad" when it could have been an "early year"). Sadly, there's not much unreleased stuff here, but that could have been because they didn't have much unreleased stuff in the vaults. The only unreleased song here is Born to Boogie that is pretty silly and not really worth mentioning. They have a couple of interesting snippets throughout - a radio program portion with Frey and Henley in the studio having Don Felder call in and play a new unreleased song over the phone, a montage of unused song portions from The Long Run, and an outtake from a Hotel California recording session that features some pretty funny in-studio banter. It actually sounds like no one was aware the microphones were turned on. The real treat is the fourth disc, a live recording of a New Year's Eve show in 1999. 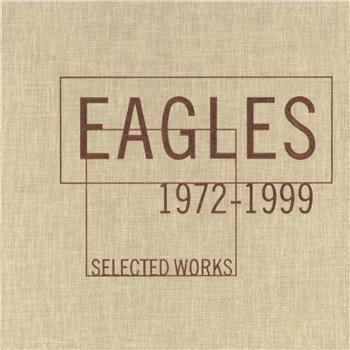 The recording is much more spirited than anything on Eagles Live and has some nice chestnuts amongst the hits. There's some solo material by the guys mixed in, that I never cared for (not when there was so much group stuff that could have been included instead). They also include Please Come Home for Christmas and Funky New Year as part of the set (previously recorded by the Eagles, but only released on single). This is actually another disappointment - not because of the songs, but because they take up space on a live disc when they should have been on one of the other three discs in their original studio formats. That would have been ideal for a box set, but I guess someone else had a different opinion. The live disc was probably the main selling point, since most people would rather shell out this kind of cash for all the studio albums (there were only six total, remember) than get something that had most, but not all, of those songs. Still, a good choice of songs and the whole piece flows quite well.